The WPT Montreal festival at Playground Poker Club produced a CAD $5 million prize pool and 792 entries to create the largest prize pool so far in Season XVII. Canadian poker pro Patrick Serda entered the final table as the chip leader and finished in the winner’s circle against tough competition including WPT Champions Club member Ema Zajmovic. 39 hands took place before the first elimination and the 40th hand spelled doom for Jack Gong. A dream spot quickly turned into a nightmare. With the blinds at 50,000/100,000, Zajmovic raised with from the hijack to 200,000 and Gong flatted with in the cutoff. Kauvsegan Ehamparam shoved for 2.2 million on the button with which led Zajmovic to reshove. Gong called off for 3.3 million with the chance to take the chip lead. A board of gave Ehamparam a flush to stay alive and Zajmovic a flush of her own to win the side pot and eliminate Gong. In Hand #86, past WPT final tablist Upeshka De Silva hit the rail in fifth place. Ehamparan raised the cutoff to 300,000 with the blinds up to 75,000/150,000 and De Silva shoved on the button holding for 3.75 million. Sorel Mizzi woke up with in the small blind and called to put De Silva at risk. The runout did De Silva no favors and he exited. Six hands later, it was Ehamparam’s turn to exit. Zajmovic raised the small blind to 425,000 with and called the shove of 2.2 million from Ehamparam in the big blind, who held . A board of worked in Zajmovic’s favor and play went to three-handed. Mizzi started three-handed play as the short stack and succumbed to Serda on Hand #113. The blinds were 100,000/200,000 when Mizzi moved all-in for 3.2 million on the button with . Serda reshoved with . The flop barely assisted Mizzi and he found some additional help on the turn. Needing a five or six, the booked Mizzi’s trip to the payout desk in third place. Heads up play started with Zajmovic holding a slight lead over Serda. Serda eventually built a small edge and used it to his advantage in one of the most memorable final hands in recent WPT history. Zajmovic raised to 500,000 with and Serda three-bet with to 1.6 million. 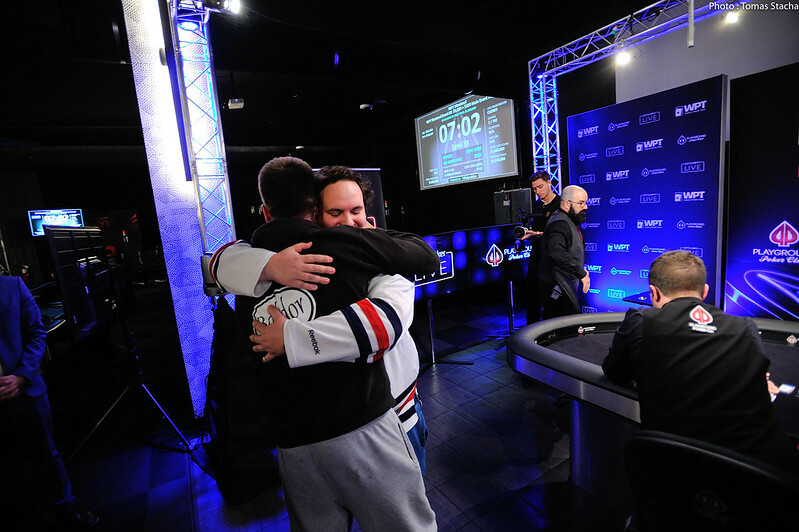 Faced with the raise, Zajmovic responded with a four-bet to 3.8 million and Serda called. Serda checked the flop and Zajmovic checked behind to the turn. A check came from Serda and Zajmovic bet 3 million. Serda called and the completed the board. Serda checked once more and Zajmovic shoved for 8.5 million. Two time chips were tossed in by Serda and he almost needed another before calling Zajmovic’s shove. 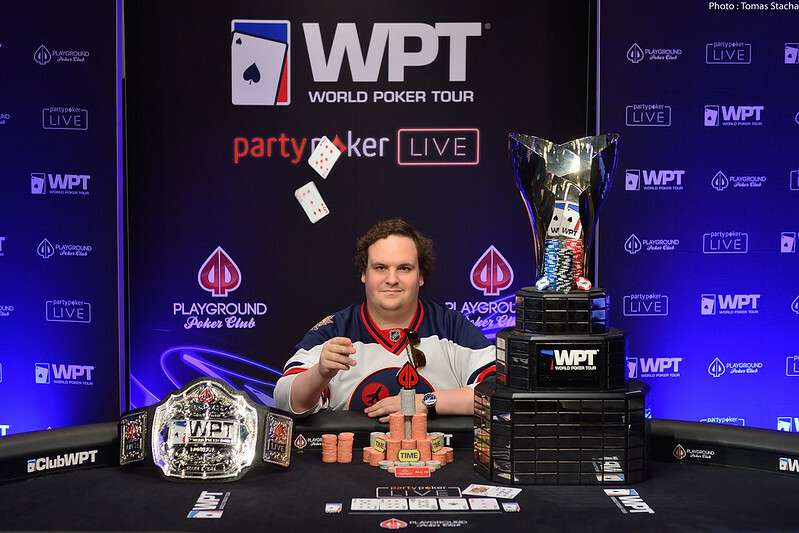 Zajmovic tabled her king-high and Serda showed his pair of sevens to win the WPT Montreal Main Event. When discussing his future tournament plans, Serda said he is interested in chasing the Hublot WPT Player of the Year title. With the win, Serda picked up 1,200 points toward that effort. Serda is also a recent father to his first son, Henrik. Based in Winnipeg, Manitoba, Serda needed to travel across the country to play WPT Montreal and was able to do so with his family by his side. The World Poker Tour returns to Florida in a few weeks for the first-ever WPT Seminole Rock ‘N’ Roll Poker Open at Seminole Hard Rock Hotel & Casino in Hollywood, FL. A $3,500 buy-in is accompanied by a $2 million guarantee for the event that runs from November 23-28.